Can you believe it is almost that time of the year again? The most popular retail stores have had Christmas items in stock since the summer time! But the Christmas season is rapidly upon us and we know that your credit cards will get used frequently over the holidays. Many people tend to use their credit cards for their Christmas shopping and that can add up quicker than expected. It is very easy to overuse your credit cards, but we want to provide tips for you shoppers who may have a budget this upcoming season. The holidays are the busiest time of the year for most retail department stores. This is the perfect time for them to promote the benefits a customer can receive if signing up for their credit card rewards program. 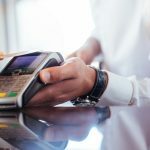 Most of these programs include a percentage discount off a purchase immediately after signing up however, signing up for a charge card may not benefit you as much as you think. What customers do not know is that most of these cards have low credit limits and high interest rates which can negatively affect your credit score if you are not careful. Essentially, take advantage of the additional discounts the store offers towards your purchases but make sure to think twice when asked to sign up for a charge card. We want you to save your money and spend wisely! It’s easy to over spend when you are surrounded by temptation. The Black Friday deals you cannot resist for gifts and treating yourself becomes very tempting to blow an entire paycheck! We all go through this dilemma, but it is important to set a limit for yourself and how much you are spending this holiday season. If money is tight for you right now, consider creating homemade gifts or lowering the dollar amount you are spending for your loved ones. Create a specific budget for everyone you are shopping for and you would be surprised how much money you will end up saving. It is not about quantity but quality so, have fun, be smart, and enjoy yourself this year. If you are planning to use all your credit cards for your shopping trips this year, we have a tip for you that will make you feel more relaxed when the bills start rolling in. We suggest paying with only one credit card for all your Christmas gifts. That way, if you need to make any returns or must pay off your bill and are not sure which of your several cards you used, you will always know that it was on the single card used for all your shopping. If you are on a budget this year, make sure you save your receipts and keep track of your spending to make sure you are well within your budget. It is also important to hold onto any receipts in case of returns and receiving the full value of payment back to you. Sometimes, if you have a return without a receipt, they must return the item as the current marked price which could be lower than what you paid for which could end up losing you money and we do not want that to happen to YOU! Keep them organized and put them in safe place and you will end up saving money rather than losing money. It is very easy to spend money during the holidays but the key to moving forward is savings right after the holidays are over. After Christmas is the perfect time to save your money and spend less. The deals and specials during the holidays can ultimately become a trap for you and your wallet so make sure you are responsible with your own earnings and whatever you do, keep saving! There you have it, shoppers! Hopefully this guide was helpful with Black Friday around the corner. Remember, it is okay to be generous, but it is also okay to be generous on a budget. Motus Financial, located in Sun Prairie, WI provides Point-of-Sale (POS) technology solutions and credit card processing services. 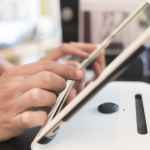 Locally owned and operated Motus Financial provides a complete suite of POS technology services to assist merchants in processing payment from credit cards, debit cards, and checks. Motus financial can also provide check processing as well as a customized gift card program for your business. For more information, please contact us at 608-819-8666 or check out our website at www.motuscc.com and we look forward to assisting you.